Letters From A Tapehead: Music Pounding In My Head: Channels "Backpfeifengesicht" b/w "Airstrip One"
Music Pounding In My Head: Channels "Backpfeifengesicht" b/w "Airstrip One"
Channels released a new two-song single on Inauguration Day called "Backpfeifengesicht" b/w "Airstrip One", which timely documents the band's thoughts on the new commander-in-chief and the problems of xenophobia. 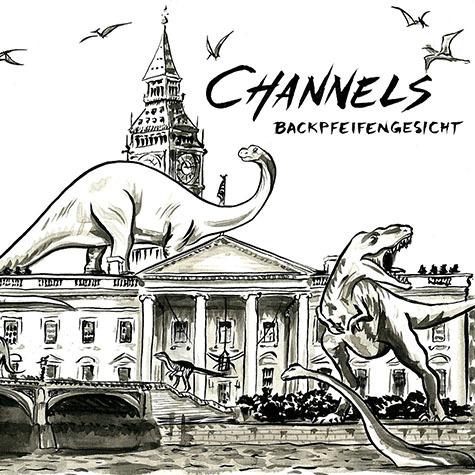 If you need some idea as to how the band aligns politically, "backpfeifengesicht" roughly translates to "a face in search of a lead pipe." So, that should clear up any questions. You can give it a listen below. The single can purchased at Dischord Records. If you like what you hear, please support the band.